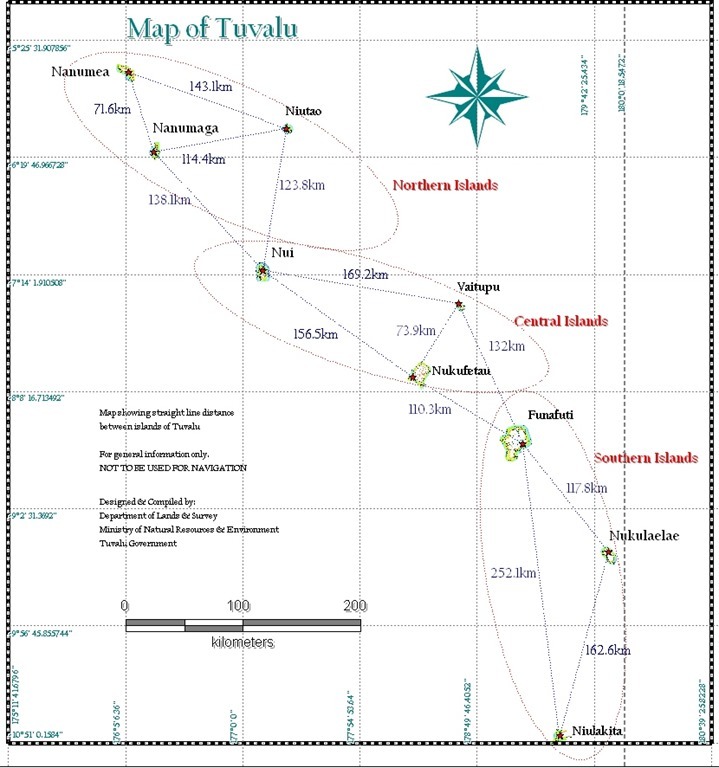 For those who are unfamiliar with Tuvalu—i.e. almost the entire world’s population—it is one of the smallest nations in the world with a Polynesian population of some 10,000. 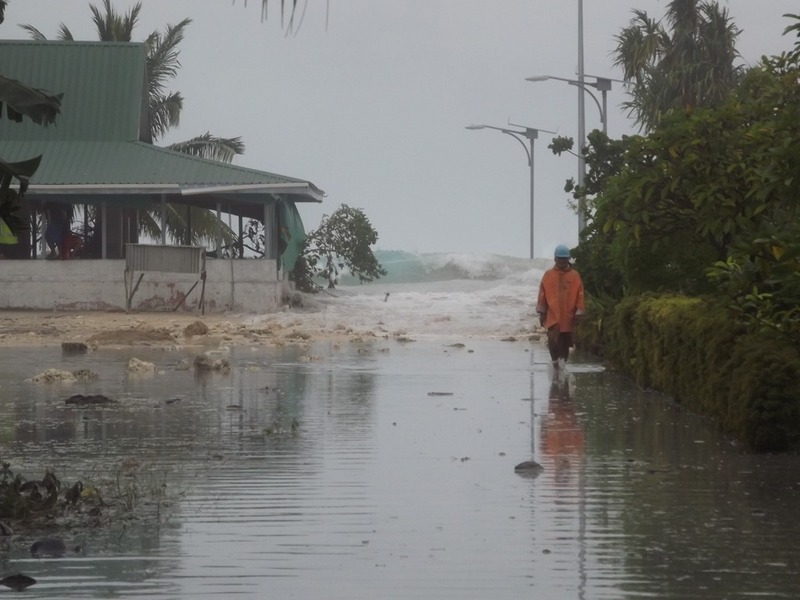 About half live on the main atoll of Funafuti, with the others scattered over nine small islands south of the equator hundreds of kilometres apart. 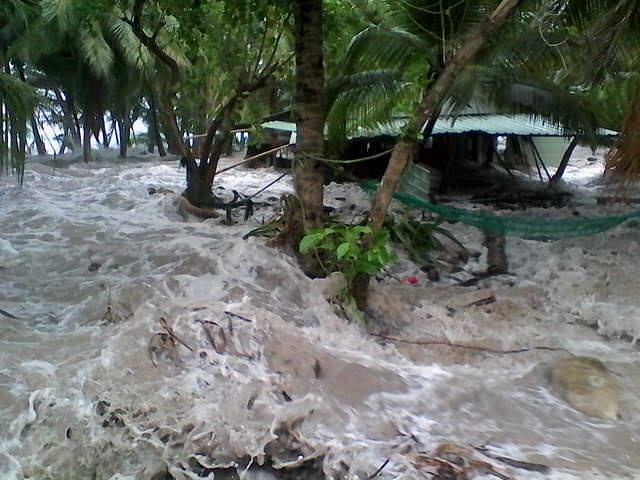 These atolls are about 2-3 metres above sea level and very susceptible to major storms. 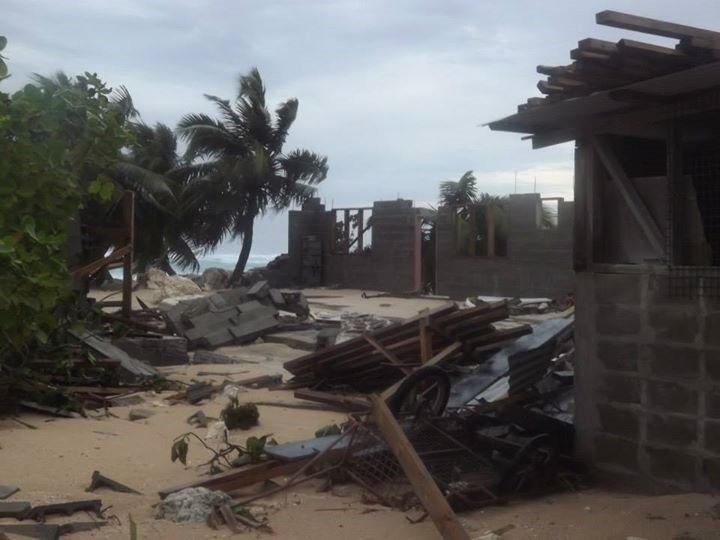 Tuvalu was fortunate that the cyclone itself did not directly impact the country, but at the edge of such a monster storm they suffered from strong winds and tide surges. 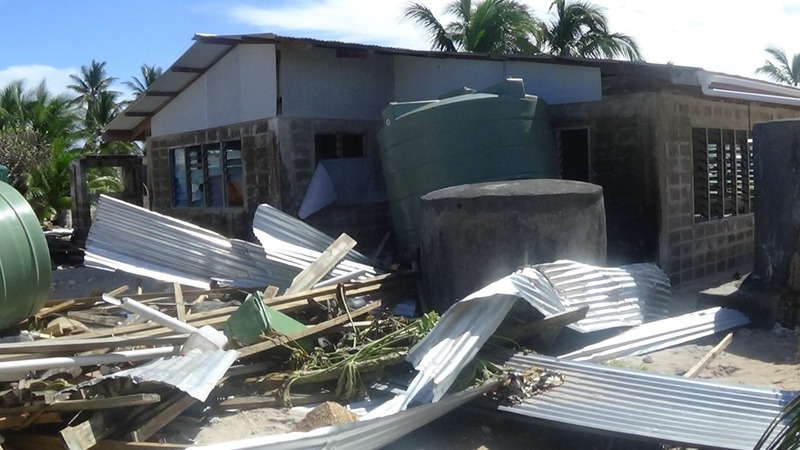 This led to substantial damages in the northern islands, as well as the central islands. 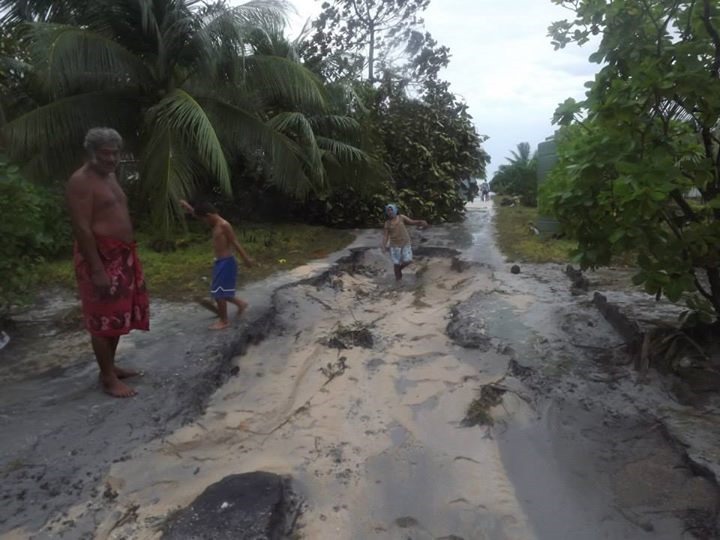 There is likely some damages in the southern islands, but they do not know yet. So what happened in the storm? Let me share some photos that we have been provided from those in the field. 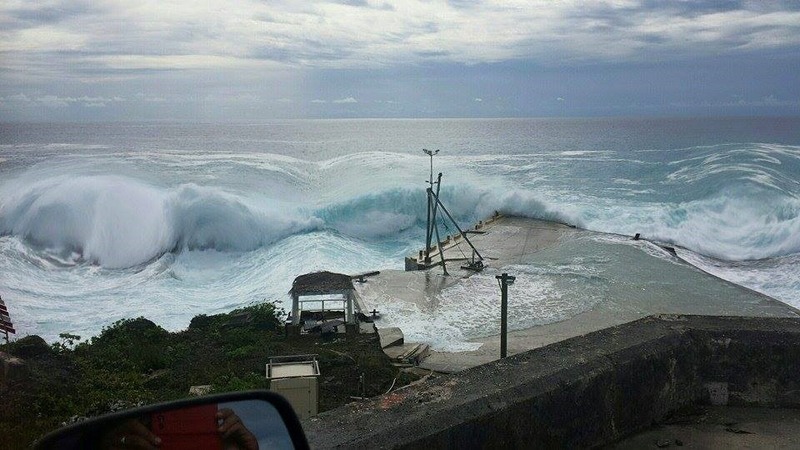 The photos below show of the height of the waves. 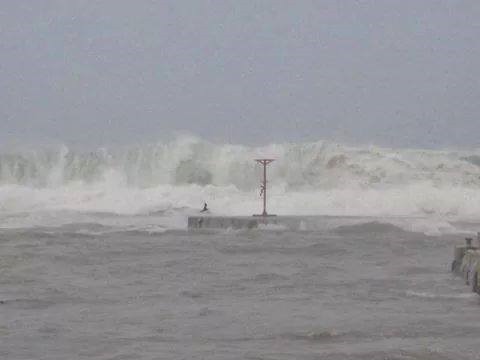 The pole is at the top of a concrete wharf which at normal high tide would probably be over one metre above the water. Here you an get a glimpse of the wave height relative to the ground level. Even afterwards there were amazing waves rolling in. The energy of the waves was incredible and they basically dumped a huge amount of coral and debris on shore. Of course during the storm there was flooding. And a lot of it. Some islands had waves washing entirely across them. 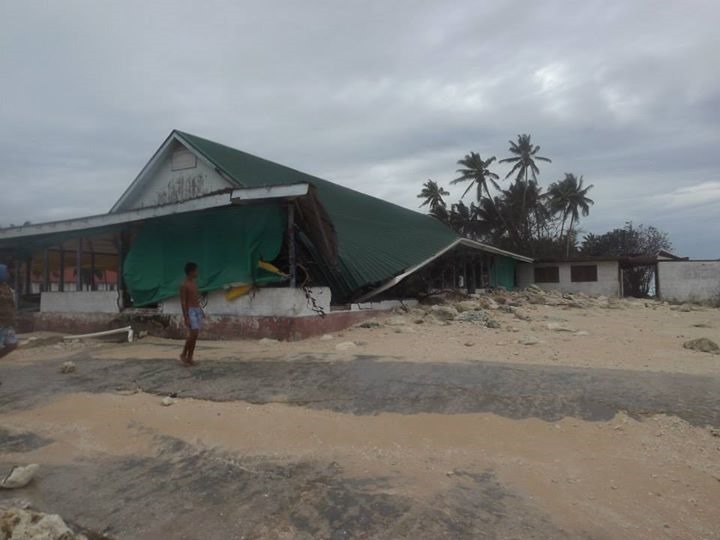 There was also damage to housing and infrastructure, especially if it was close to the ocean where the monster waves just trashed everything. 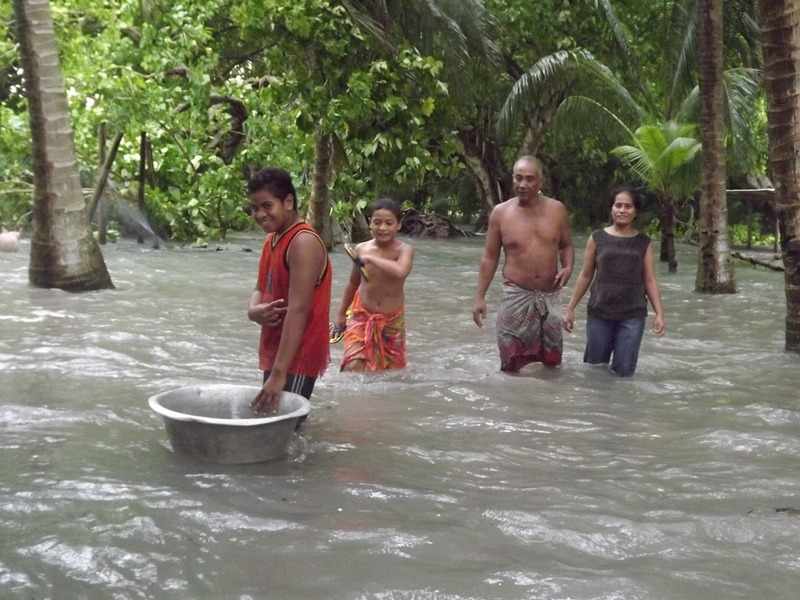 Early reports suggested that some 45% of the people in the country were displaced. What is fortunate is that these were temporary and there have been only a small number of households who have lost their homes. 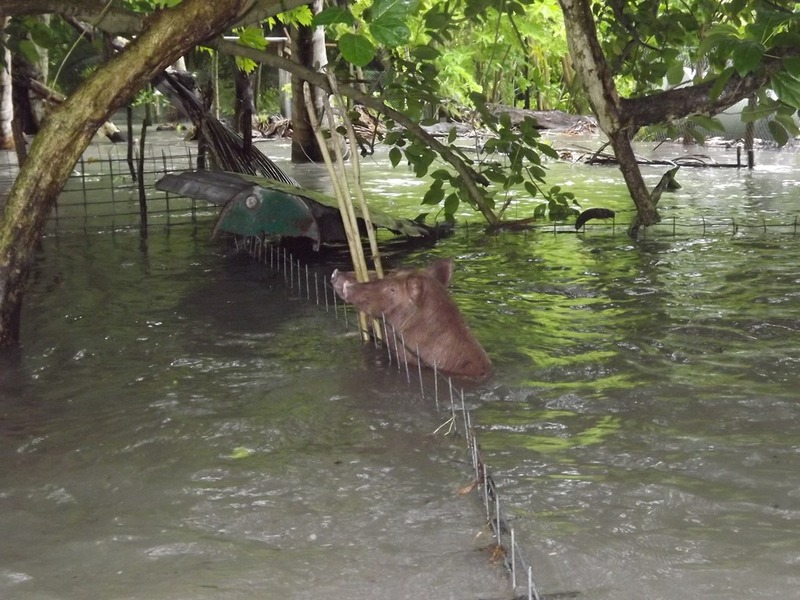 But there have been major damages to coastal protection, sanitation systems, and the food crops. Remember, that is not fresh water but salt water. 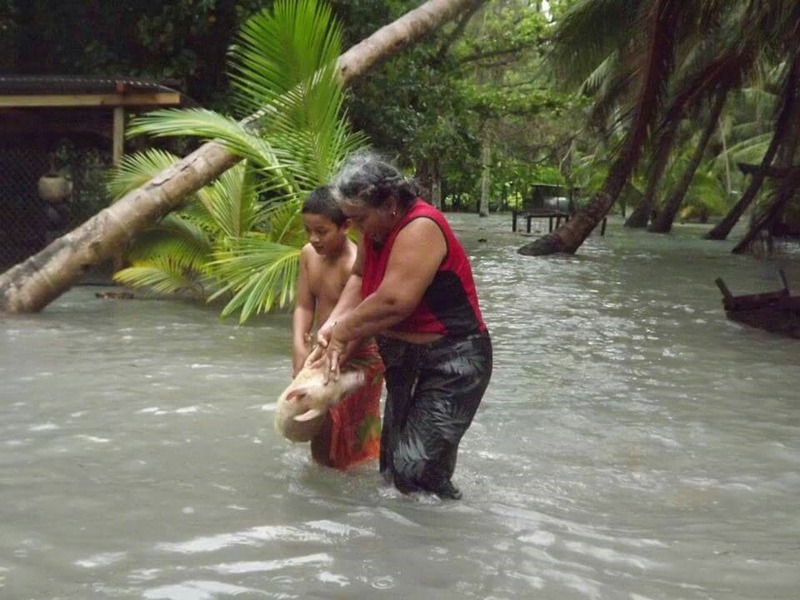 Some islands are reported to have lost 80-100% of their food supplies. 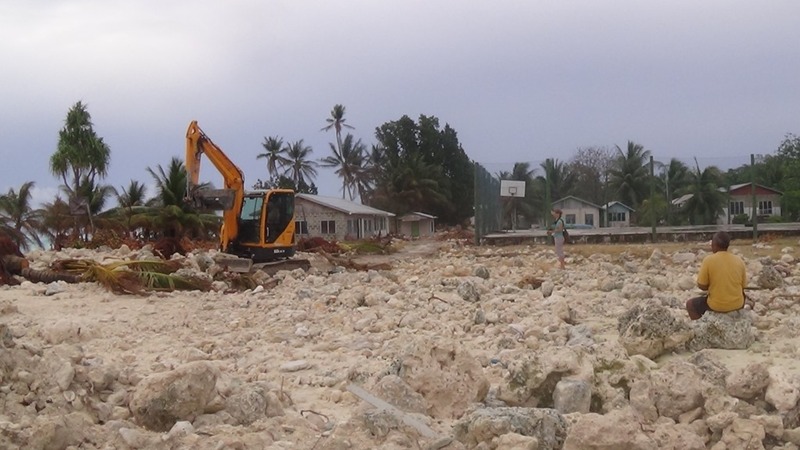 The remoteness of Tuvalu is making the relief and recovery effort a challenge. It has not been possible to get any details from the northern islands. 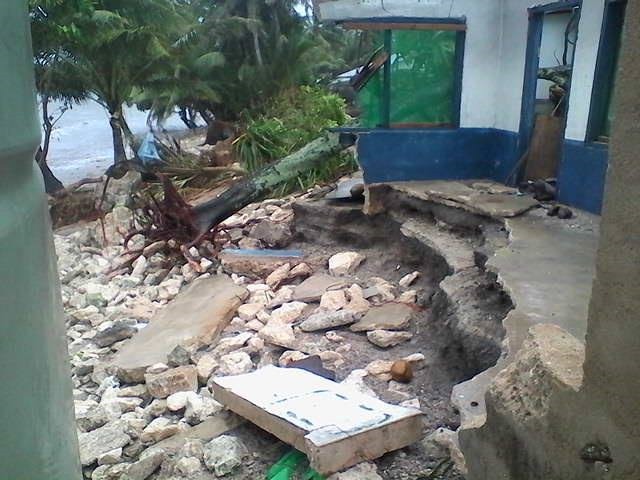 Samoa kindly sent a patrol vessel to Tuvalu which took a team up there on Thursday. 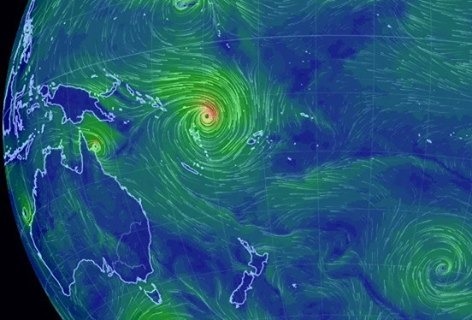 The trip from Samoa was so rough that two of the sailors had to be hospitalized on arrival. We’ve had monster winds and waves since they departed so will be interesting to hear how the trip went. Even though they are returning tonight they cannot dock due to the weather. 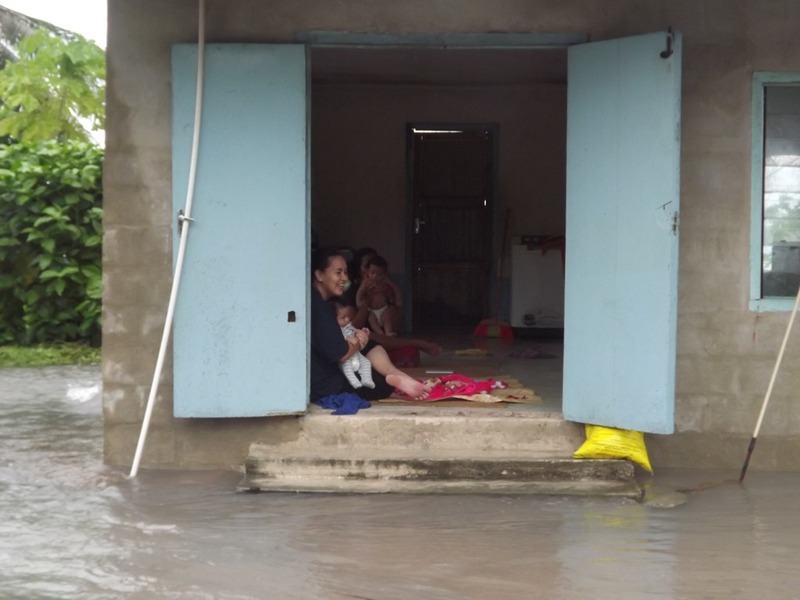 But in spite of the challenges, the relief effort is underway, and I’ll write about that in Part 2. This entry was posted on Sunday, March 22nd, 2015 at 4:29 am and is filed under Uncategorized. You can follow any responses to this entry through the RSS 2.0 feed. You can leave a response, or trackback from your own site.